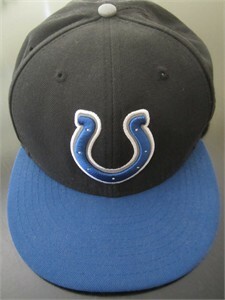 Indianapolis Colts authentic On Field black and blue cap or hat made by New Era. Fitted size 8 3/8. Brand new, never worn (no paper tags). ONLY ONE AVAILABLE FOR SALE.